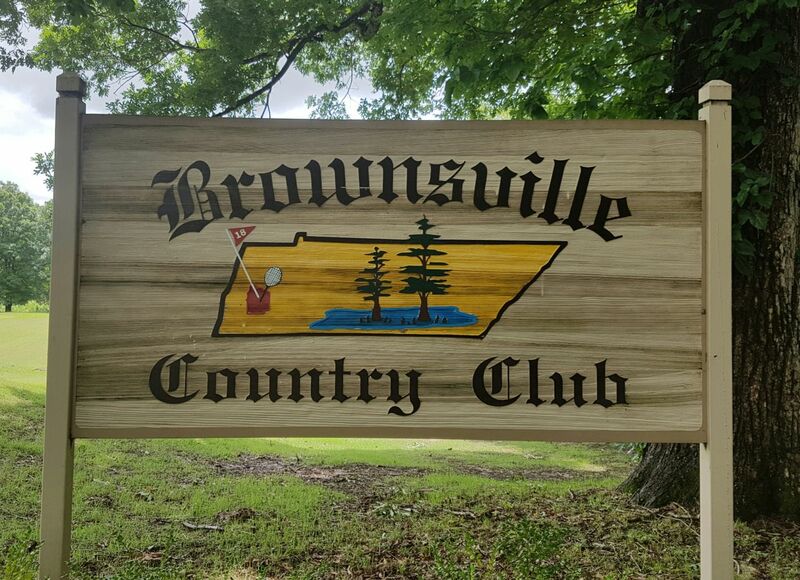 Home Course features Brownsville Country Club, Tennessee … Not The Only Thing In Brownsville To Sing About. Brownsville Country Club, Tennessee … Not The Only Thing In Brownsville To Sing About. 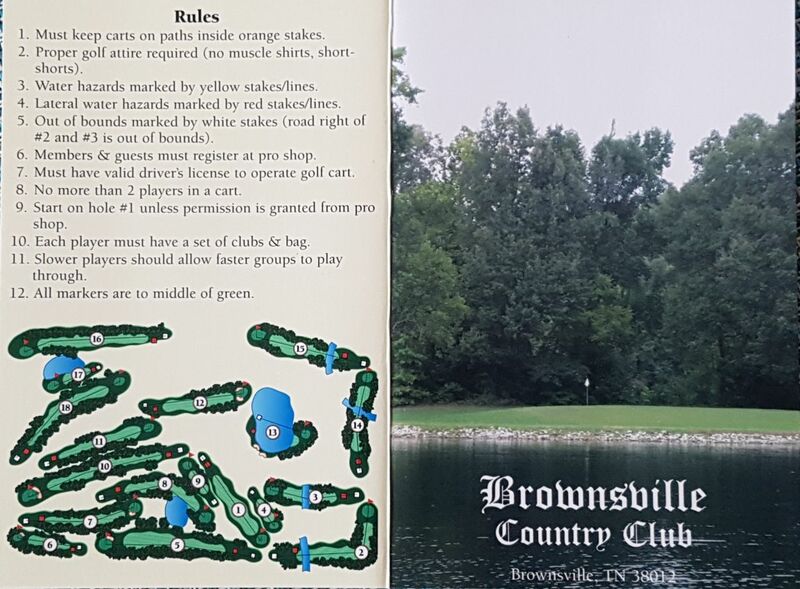 2 years ago by Bernie McGuire Comments Off on Brownsville Country Club, Tennessee … Not The Only Thing In Brownsville To Sing About. In Aussie-born Helen Reddy’s 1973 No. 1 hit song ‘Delta Dawn’ she sings the lines … “All the folks around Brownsville say she’s crazy … Cause she walks downtown with a suitcase in her hand”. Brownsville is a town north-east of Memphis and boasts being ‘The Heart of the Tennessee Delta’. The city is laid out close to the Hatchie River and a tributary of the mighty Mississippi River. We found our way to Brownsville and the Brownsville Country Club on route from the Memorial in Columbus, Ohio to the FedEx St. Jude Classic in Memphis. Of course, you won’t see anyone walking around Brownsville Country Club course with a suitcase in their hand but rather a set of clubs either slung over the shouder or with the clubs proudly sitting at the back of a motorised cart. And given the undulating nature of the course taking a motorised cart is probably your best option or as Reddy sings in the closing line … “You may end up in that mansion in the sky”. Despite plenty of ‘surfing’ I know little of the golf course other than it was designed by a George Curtis and opened for play in 1965. It is a pity because a Google search fails also to register Curtis’ name. What we do know is the course is not that long measuring 5,946 off the Blue tees and 4,987 yards for the Ladies. Brownsville boasts four par fives, two on each nine and the longest being the 517-yard 10th hole. There is five par threes, three on the outward half and two on the homeward nine with the longest the 195-yard sixth hole and the shortest the fourth at 111-yards. A big feature of the course, and located behind the clubhouse, is Johnson Lake that you must carry in reaching the 172-yard par three, 13th and having to find a oblong-shaped green. What is interesting is that the No. 18 index or ‘easiest’ hole is the first, a par four at 327-yards, while the hardest hole and the No. 1 index, and at 406-yards, is the last. 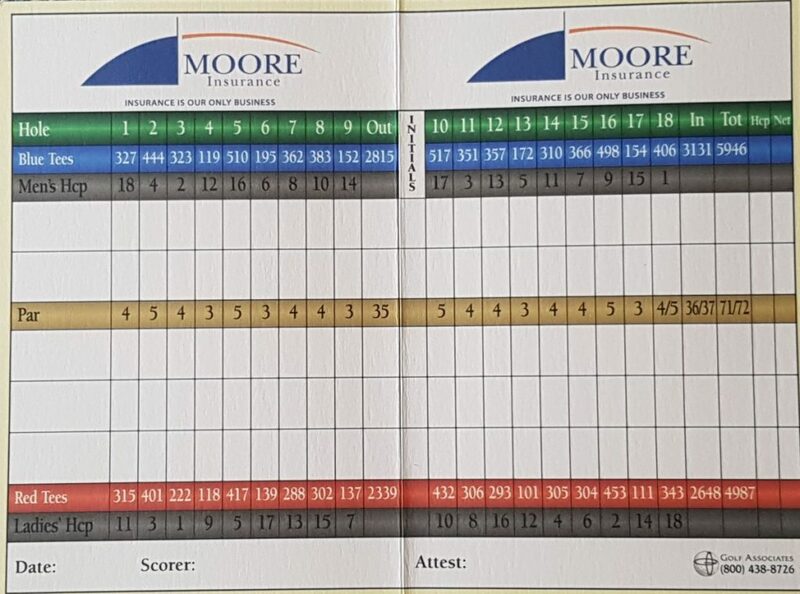 Water comes into play on seven of the holes and none moreso than the par three, 13th and virtually a full carry over water and also being the signature hole and the hole featuring on the front cover of the scorecard. A big key to playing well at Brownsville, and this is stating the obvious, is hitting it straight given the tightness of the tree-lined fairways because if you start ‘spraying’ it you will be staring at playing shots from within the tree line.